Dr. Robert Williams was an outstanding athlete and scholar at G.A.R. High School, where he guided the late Coach Luke Richards’ teams to titles in both 1952 and 1954. In 1953, when the Grenadiers went 8-1-1, and in 1954, when GAR won the Wyoming Valley Confer-ence with a 9-0-1 record, Williams was an all-scholastic choice at quarterback and played safety on defense. He earned letters in football, basketball, and baseball. Williams was a highly recruited quarterback by many Division I college and university teams. He ac-cepted a full football scholarship to the University of Notre Dame. As starting quarterback in 17 games at Notre Dame, he led his team to many victories, including 7-0 victory over Oklahoma on November 16, 1957, one of the most glorious days in Notre Dame history. It was an 80-yard drive in 20 plays. “They thought he was going to give the ball to fullback Nick Petrosonte. He faked to him and pitched it out (to Lynch).” In that game, Williams completed eight (8) of 19 passes for 70 yards. He also intercepted a pass. The victory ended the Sooners 47-game winning streak and handed them their first shutout in 124 games. This record still stands as the longest winning streak in college football history. Williams was chosen “Back of the Week” by the Associated Press for his role in the upset. 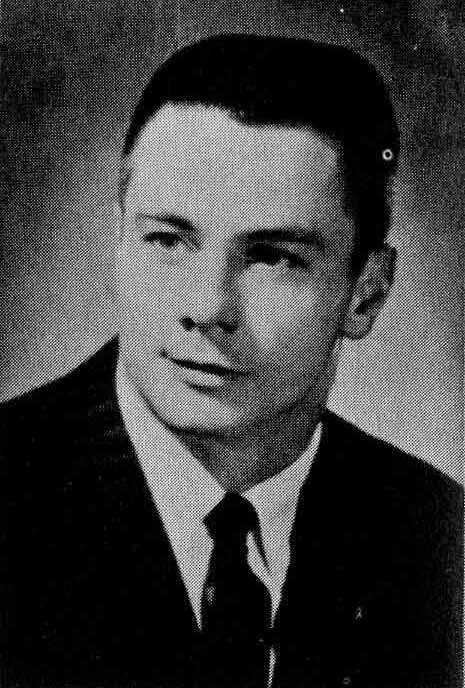 In 1958, Williams played in the Blue-Gray All-Star Game, and, in 1959, he participated in the Hula Bowl. He was named the quarterback on the fourth annual National Scholastic All-American Team in 1958 as selected by a panel of 351 sports writers for The American Peoples Encyclopedia. He was drafted by the Chicago Bears in 1959, but he already decided to attend the University of Pittsburgh Medical School, to fulfill his lifelong dream of becoming a doctor. Again, in 1961, he had another opportunity to play professionally with the New York Times (now Jets), but remained in medical school. Williams graduated from medical school in 1963, and from 1964-1966 served his country as a Captain in the United States Air Force. He was a flight surgeon for a fighter squadron in Vietnam. Williams did his residency in obstetrics, gynecology, and oncology at Magee Women’s Hospital from 1966-1970. He practiced medicine in Pittsburgh, and had been based at the Professional Office Center at St. Clair Memorial Hospital in Mt. Lebanon. He served as Chief of Obstetrics and Gynecology at St. Clair in 1988-89. Other hospital affiliations, all in the Pittsburgh area, included Magee Women’s Hospital, South Side Hospital, St. Clair Hospital, Central Medical, and Jefferson Hospital. He was also affiliated with teaching at the University of Pittsburgh Medical School. He was a member of several professional medical organizations and honor societies such as the American Medical Association, American Board of Obstetrics & Gynecology, College of Physicians &. Surgeons, Pennsylvania Medical Society, American College of Obstetrics & Gynecology, Oncology Society, and the University of Notre Dame Edward Frederick Sorin Society. Dr. Williams was the son of Mary O’Boyle Williams of Wilkes-Barre and the late Warner Williams. He is also survived by his wife, Patricia of Pittsburgh, and four children, Kimberly Ann Cline of Phoenix, Michele Lyn Maloy of Pittsburgh, Brian Scott of Minnesota, who was the top draft pick for the New York Giants in 1989, and Robert Anthony, student at Duquesne University, and three sisters, Rosemary Smith, Thomhurst; Judy Samosld, Wilkes-Barre; and Joan Thomas, Philadelphia, Pa.; and several nieces and nephews. Dr. Williams passed away on July 21, 1990, at the age of 52.